You know what’s annoying? When you sign into Shift to look at all your Black Friday offers but all the images show up as empty boxes. Luckily, the solution for this is simple. Instead of having to press “Display external images” every time you open an email, why not set it up so that images always load? On the other hand, there might be situations when this isn’t the right plan of action. For example, they might use up too much data. If this is the case, all you need to do is turn them back off. 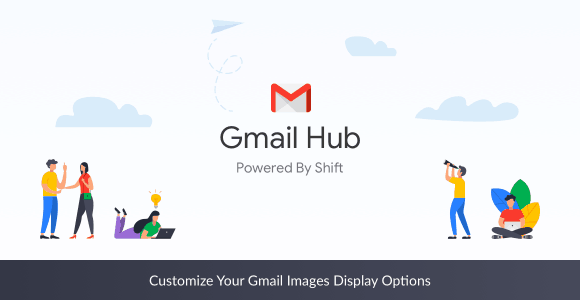 Whichever option suits you, let us show you how to change your Gmail images display option. If you’re tired of clicking an internal link inside of the email body every time you want to see images, just cut corners and display all images. Note: Sometimes, even if you have images enabled, Gmail might decide not to show them automatically. This is just a cool safety measure and doesn’t mean you’ve suddenly caught a virus. If always seeing images isn’t doing it for you for whatever reason, you can turn them off again just as easily. When is a good time to enable/disable auto display? There are plenty of reasons why enabling or disabling auto show might a good idea. If you have a slow internet connection or are running out of data, disabling images in Gmail might be the best decision you’ve made all day.